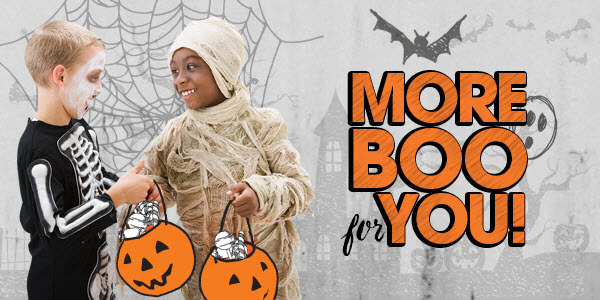 Halloween #PumpkinPak Twitter Party | A Savings WOW! Halloween #PumpkinPak Twitter Party 10/13/15 at 12 PM CST – $375 in Prizes! Halloween is just a few weeks away! Join us at 10 AM PT/1PM ET on Tuesday, October 13th, as we talk Halloween decor, food, costumes, scary stories and hauntings! RSVP and participate for your chance to win $350 in prizes! Follow the hosts: @ValpakCoupons, @DestAmerica, @savings, @bhcosmetics, @maritramos, and @ItsCheapAsh. When: Tuesday, October 13th at 12 PM CST. Where: On Twitter in the #PumpkinPak hashtag or on tchat. What: There are several questions they will tweet and discuss. Be sure to use the hash tag #PumpkinPak to be eligible for the prizes. Prizes: We’ll be giving away over $375 worth provided by Valpak.com, @DestAmerica, and @CostumeSC.